Yet another innovative exercise introduced by Sri Lanka Convention Bureau SLCB, V-Group India will be reemphasizing the MICE potential in Sri Lanka to its corporate data base in major cities shortly. V-Group is a Bangalore based M.I.C.E Management Company specializing in overseas M.I.C.E. events and has been in the trade for over 20 years. 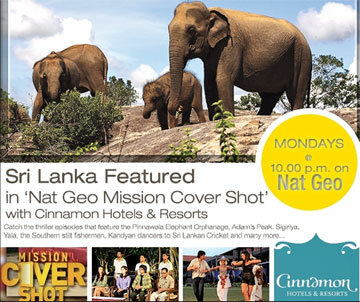 During their last visit to Sri Lanka, SLCB negotiated with them to find creative ways of promoting Sri Lanka and it was agreed to produce both print and E Brochures with a personal message from V Group, to reach out to Indian Corporates in their data base. It is more credible when an Indian Company speaks about Sri Lanka than it is done by us says General Manager of SLCB Vipula Wanigasekera. K.R Venkatesh, the CEO of this company has always been a stalwart of Sri Lanka. V-Group has been organizing events such as Auto show India, Clicktronica SES. Having succeeded in organizing international exhibitions and workshops in India and abroad, they are now a one stop unit for all M.I.C.E management needs and closely work with Sri Lanka Convention Bureau promoting Sri Lanka as a venue for MICE activities from India.